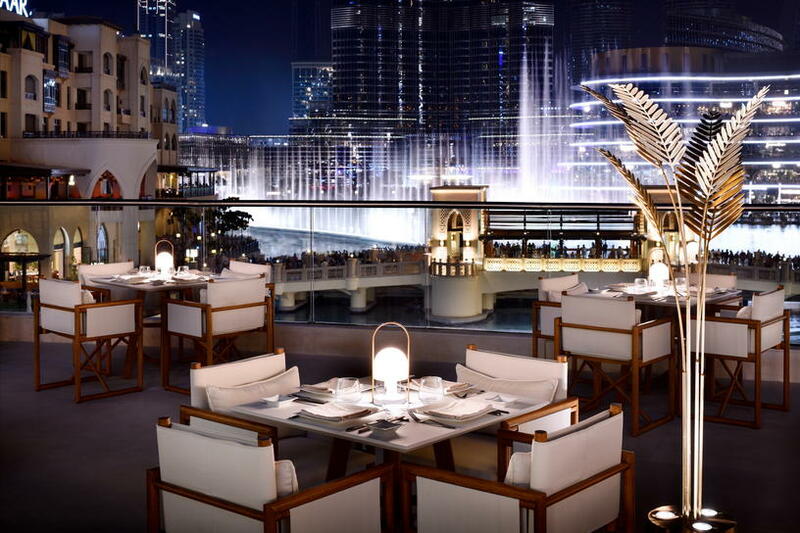 Night, outdoor terrace, view of the fountain-what could be more beautiful? 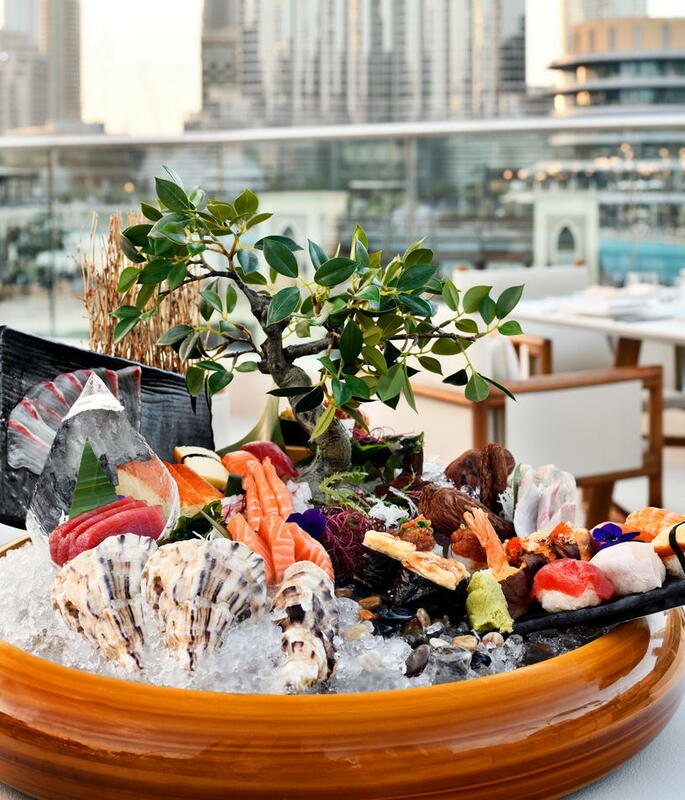 New ZETA restaurant at the Address Downtown hotel is located in one of the most prestigious places of the city. 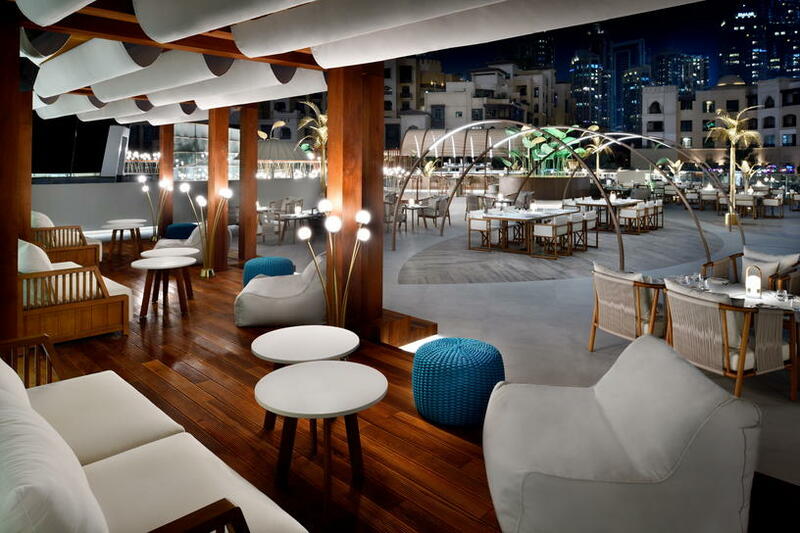 Its terrace offers magnificent views of the Burj Khalifa and musical fountains. The weather is perfect for open – air dinners, and Zeta is the place not to be missed this season. Named after the Eastern star illuminating the sky, the restaurant offers a romantic atmosphere for intimate conversations. The design is responsible for the Bureau Square 8-the interior is decorated with Golden and green metal palm trees, harmoniously fit into the surroundings of the futuristic and sparkling downtown. 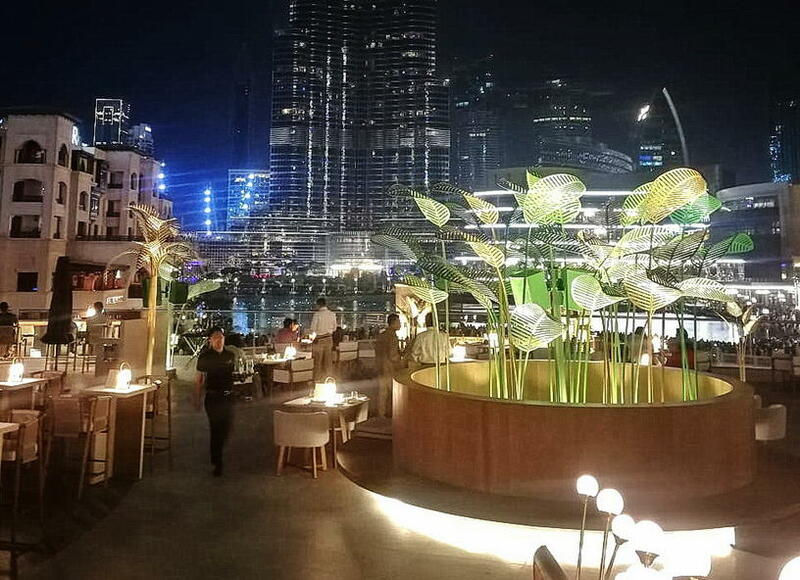 At the same time, the atmosphere in the restaurant is still warm and cozy, apparently, this is how the "city restaurant with a view of the water"should look like. Cuisine – California-Asian. But it seemed to us that the menu is still dominated by the spirit of modern Japan, with separate inclusions of French and Peruvian traditions. Among the dishes-a variety of sushi and sashimi, poppies, rolls and tempura. The signature roll is called "Fountain" and delicately combines Japanese tastes – crispy tempura shrimp, tender beef, cucumber and cream cheese, filled with teriyaki sauce. Another dish worth trying is Japanese fried chicken Karaage. Pieces of chicken, lightly fried in oil, surprisingly tasty. In the list of main dishes – lobster, prawns and beef tartare, and I can assure you that the Wagyu beef will not disappoint you. Well, for dessert it is necessary to take an assortment of ice cream mochi. Zeta opens to 4 o'clock, but night view singing fountains absolutely irresistible. At dusk and at night, enchanting sounds and tastes merge into one mesmerizing experience. Thanks to the incredible view every second you feel yourself at some special celebration of life.